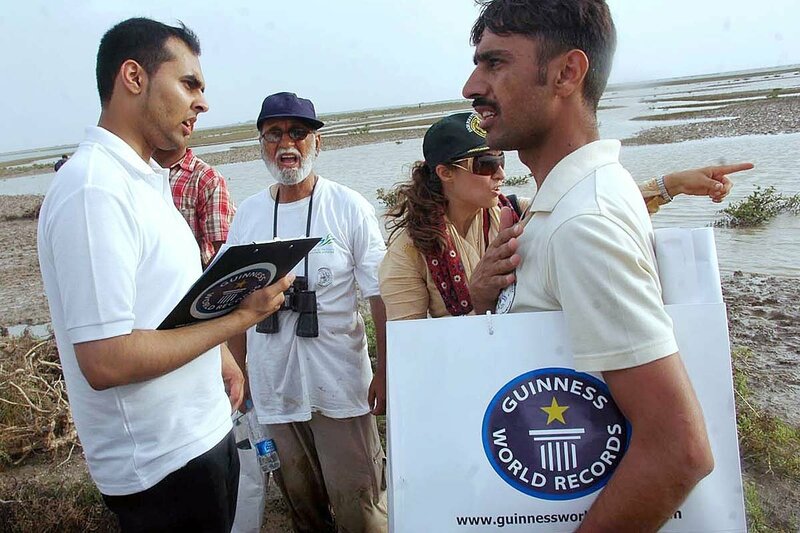 Tahir Qureshi has helped rehabilitate 30,000 hectares of mangrove along the southern coast on the Arabian Sea, including in Baluchistan. Today he is a senior advisor on coastal ecosystems with the International Union for the Conservation of Nature (IUCN). He starts almost every day with a visit to the mangroves, which he calls his kids, on Karachi’s Sandspit Beach. Wearing a khaki shirt and trousers, he wades into the swamp up to his waist to see how they’re getting on. “This is my life. I am very happy with it. The cause is worth living such a life,” Tahir Qureshi told AFP, walking around the sanctuary that he set up in his spare time when he still worked full-time with the forestry commission.